The search of the perfect light pink maxi skirt is over! Although I prefer mini skirts because they make me look taller, I have wanted to try a flowy maxi skirt for the longest time but never found one I was fond of. This was a beautiful accident because I was hanging out at the mall and spotted this on a sales rack for a crazy price. This is definitely one of the best finds! 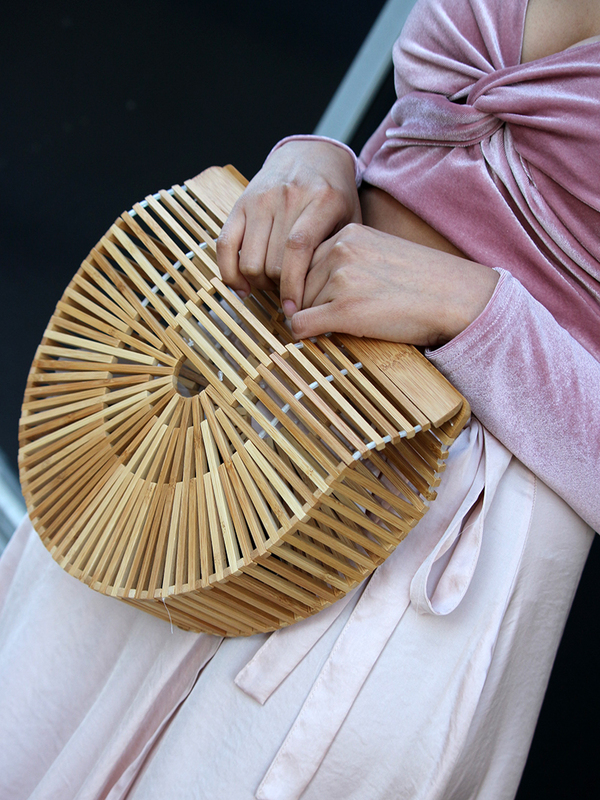 I paired it with a pink velvet crop top also scored on clearance and added this super cool wooden bag I’m in aw with.